Sriracha BBQ chickpea cous cous. The other day I went for a winter picnic at Salhouse, in Norfolk (UK). Before sitting down to eat we went on a circular walk that took us round the surrounding countryside, the unusual thatched roofed church and later down to Salhouse broad. This spicy carb-a-licious salad was the perfect thing to pack, relatively simple to make yet full of zingey-spicy flavour to perk us up a bit after a long walk. Another bonus is I pretty much had all these things about in the house anyway as no vegan household is complete with out a wealth of chickpeas in the cupboard and a bottle of hot sauce. Preheat the oven to 200c/400f. Mix together the ketchup, molases, vinegar, sriracha, tamari, shallots, garlic and paprika in a mixing bowl and toss in the chickpeas. Stir to coat in the sauce and pour the chickpea/sauce mix into a ceramic baking dish, cook in the oven for about 20-25 minutes, turning the chickpeas with a spoon half way through cooking. Whilst the chickpeas are cooking, cook the cous cous in the stock for the time dictated by the packet and set aside. Once the chickpeas are cooked, chuck the cous cous into the baking dish and toss together with the chickpeas and the wild rocket. Serve. Or cool before adding the wild rocket, toss through the rocket then pack up for a picnic. 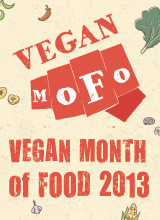 This entry was posted in mains, side dishes and tagged cheap, chilli, dairy free, easy vegan, egg-free, food, main meals, recipe, salad, vegan. Bookmark the permalink. My two favorite things – Sriracha and chickpeas! This sounds so good! Lovely – got to try this! Made this for dinner tonight! Was really tasty and my husband loved it too 🙂 thanks for the recipe! 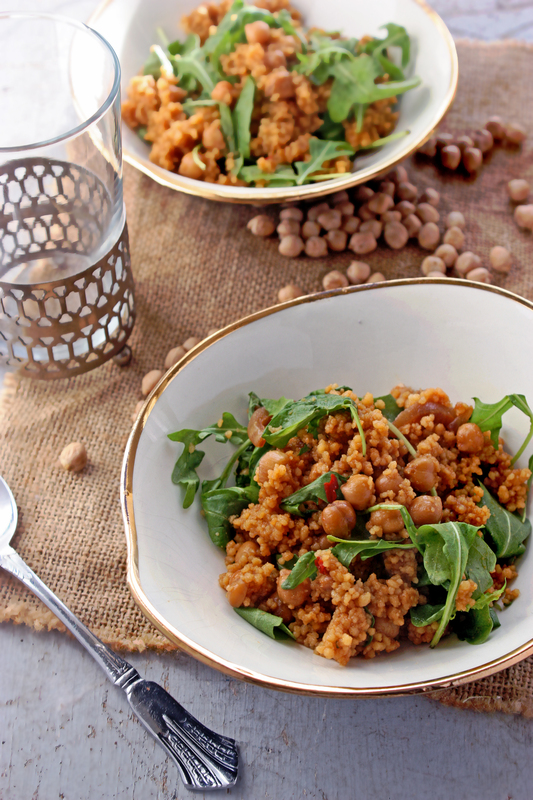 Pingback: Spicy BBQ Chickpea Couscous | Eat, Drink, Be Healthy! Thanks for the great recipe. We’ve made this many times, this is a perfect quick and easy weekday dinner. Sometimes we’ve substituted chickpeas with white beans or black eyed peas, and it always tastes good. We have a batch of chickpeas in the oven right now, and we’ll have some brussel sprouts as side dish.